You may hear all different types of advice when it comes to house hunting or renovating. Is it the kitchen, bathroom, lounge or bedroom that is the most important room in the house? 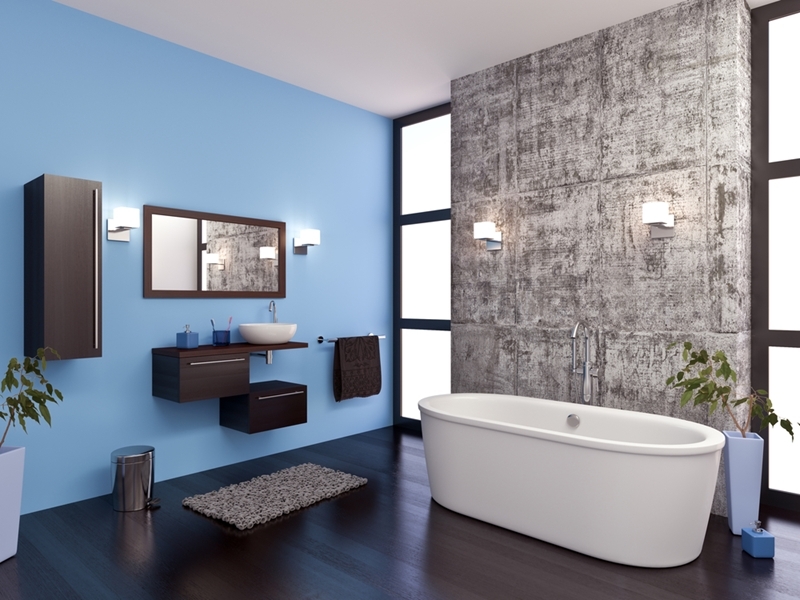 While they are all important, there is one that tends to top the list of priorities for renovators – the bathroom. By concentrating on just one of the most important rooms in the house, you may be able get more bang for your buck when it comes time to sell. There are a couple of options and you can invest a lot of your money into it or make small inexpensive changes. It’s up to you, but here are some tricks of the trade for both options. Apartment Therapy suggests that simple changes like adding a new colour theme to the walls or tiles can make the world of difference. To save on space, having a mirrored medicine cabinet is great or adding ceiling lights can completely change the look of your bathroom. Try not to make changes to the toilet, shower or sink if you want to save money because rearranging pipes will cost the most. There are so many ways you can make subtle changes to your bathroom without the expense. Houzz suggests that if you are working within a tight budget, then wallpapering the bathroom can be a nice touch. It can fix any imperfections on the walls and the great thing about it is that you can change it without too much hassle every few years. Houzz calculates that a modest bathroom renovation will cost you anywhere between $3,000 – $12,000. If you are willing to spend that type of money then you want to capitalise as much return on it when you sell. Simply changing the tiles around the bath or shower area can add value and contribute to the design and feel. Larger tiles cost about the same as smaller ones, and are easier to install and they look better. Complete Home suggests that you spend 1.5 per cent of your home’s total value on renovating your bathroom. For example, if your house is valued at $500,000 then aim to spend appropriately $7,500 on the upgrade. But of course, everybody’s budget is different, but here are some features that you can concentrate on. If you are wanting to invest money in a bathroom, make sure you’re adding features that buyers want. Task lighting – are the best lights to see yourself when looking in the mirror. Lighting designer Randall Whitehead told Forbes that positioning the lights at eye level and on opposite sides of the mirror will “provide shadowless illumination”. It will cost extra, but putting a dimmer on the lights is really important because everyone is different and they will need to adjust the setting to their liking. First of all, don’t let the toilet be the first thing you see when you walk into the bathroom. If that means rearranging the space and pipes, then so be it. Talk to your builder about the best way to do this and they may even suggest inserting a wall if there is room. It may cost you, but the impact it can have can benefit you when it comes time to sell. Keep in mind that you will need a building permit for these types of renovations. It may sound like a lot of work now, but if you want to make sure your bathroom lasts for years to come. Whether you are investing some money in renovating or on the search for a bathroom that fits your needs, talk to the helpful team at Brad Teal for the best advice.